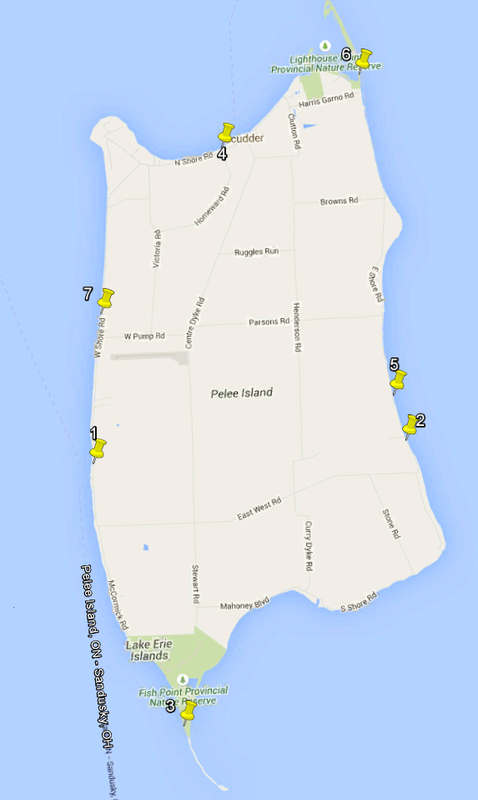 The public beaches of Pelee Island have signs posted to inform swimmers of the status of the water quality around the island. The status of each beach is also listed below with a map to show you where each beach is located. This water may contain blue-green algae capable of producing toxins that can be dangerous to humans and pets. – Do not swim or swallow water. – Do not allow pets to swim or drink water. – Do not allow children to play in scum layer from shoreline. • Rinse off after swimming. High levels of potentially toxic blue-green algae have been identified in this water. Exposure to blue-green algae may cause nausea, vomiting, diarrhea, or fever in humans and pets. Anyone who comes in contact with blue-green algae should rinse off with fresh water.